A few weeks ago I started my new job as a Public Relations Coordinator at Wicked Creative. 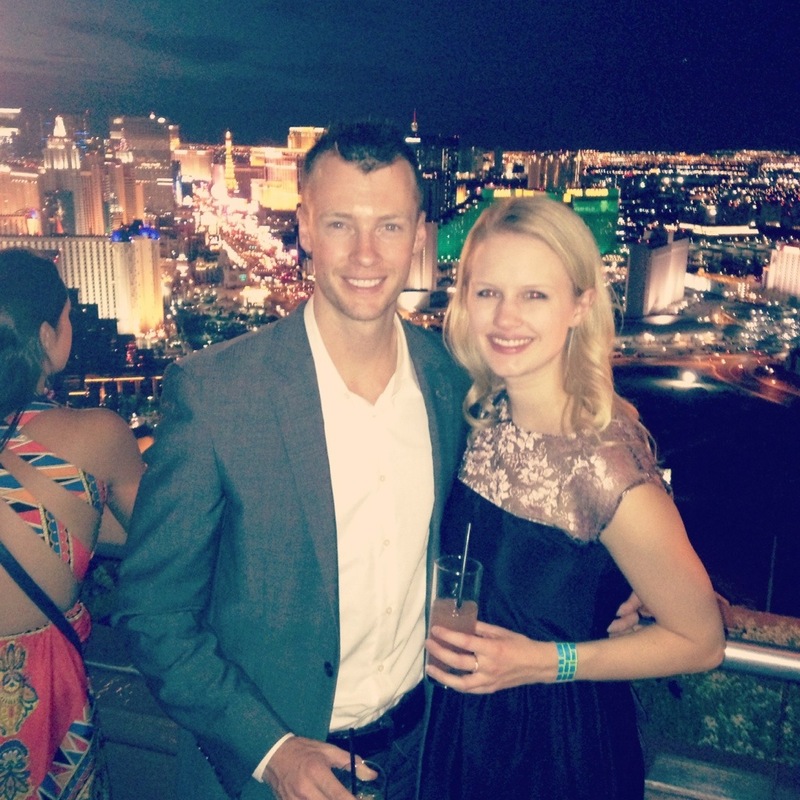 In the past three weeks, I have had more “Vegas” experiences than in the three months I’ve lived here. 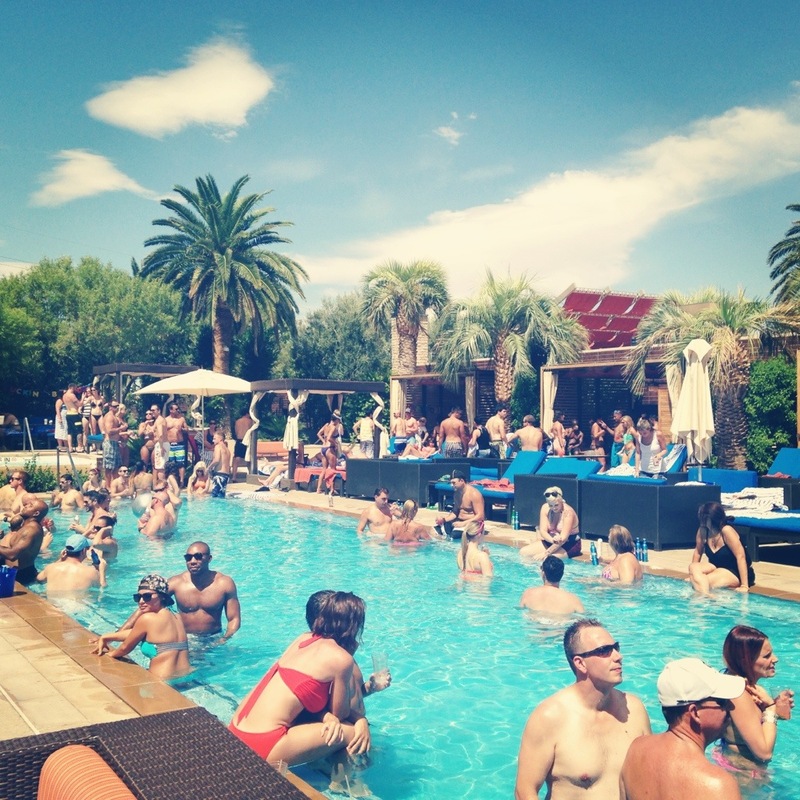 Just this weekend alone I went to the Vegas Seven Best of the City party at the Foundation Room, did the social media for a fashion show and celebrated a co-worker’s birthday poolside. 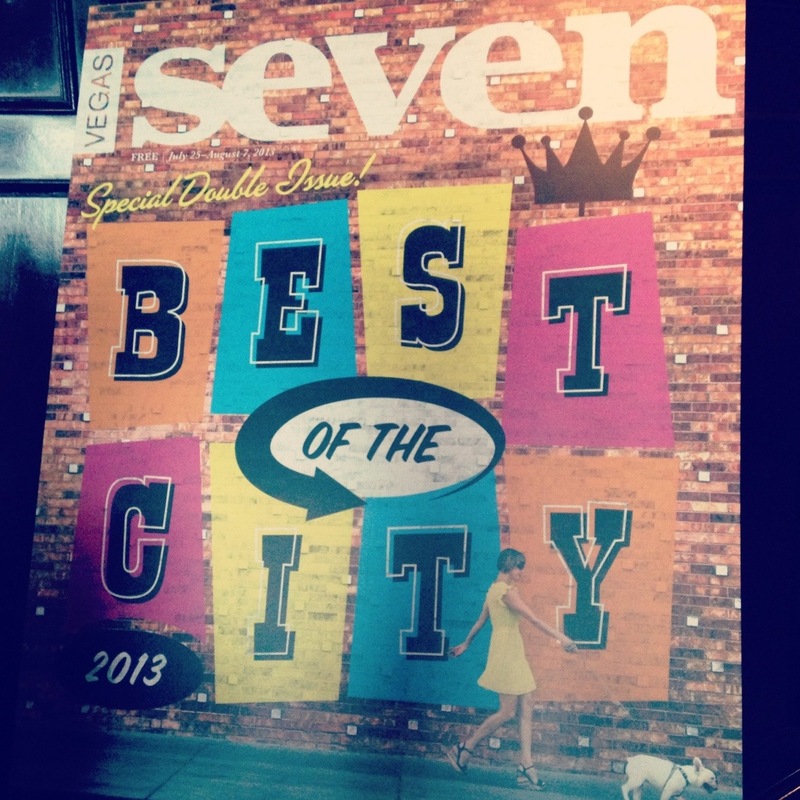 We were invited to the VIP party to celebrate this special issue of Vegas Seven. 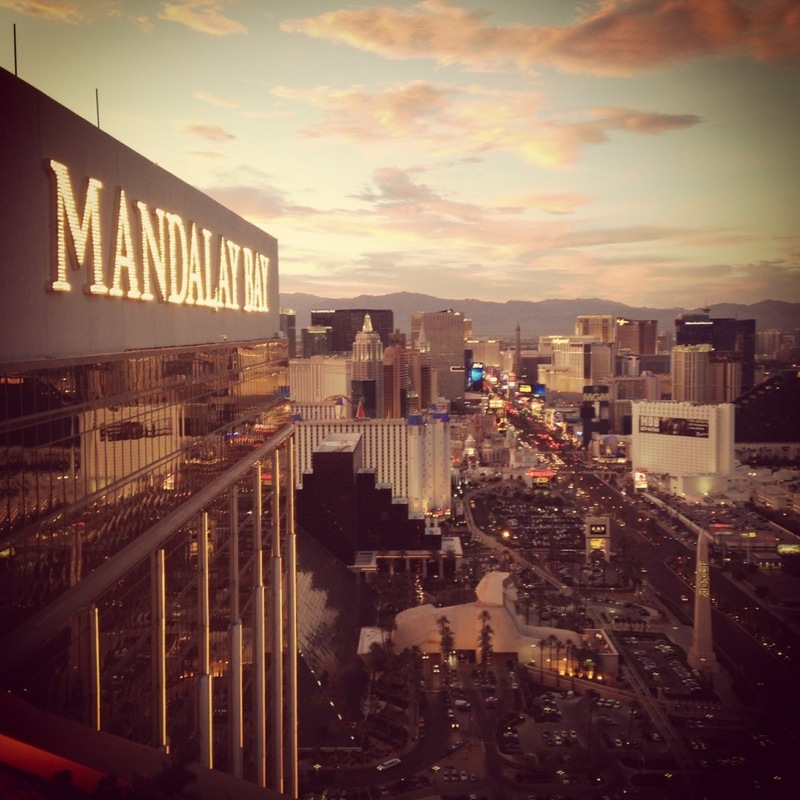 It was held at the Foundation Room on the top floor of Mandalay Bay, which has an amazing view of the Strip! 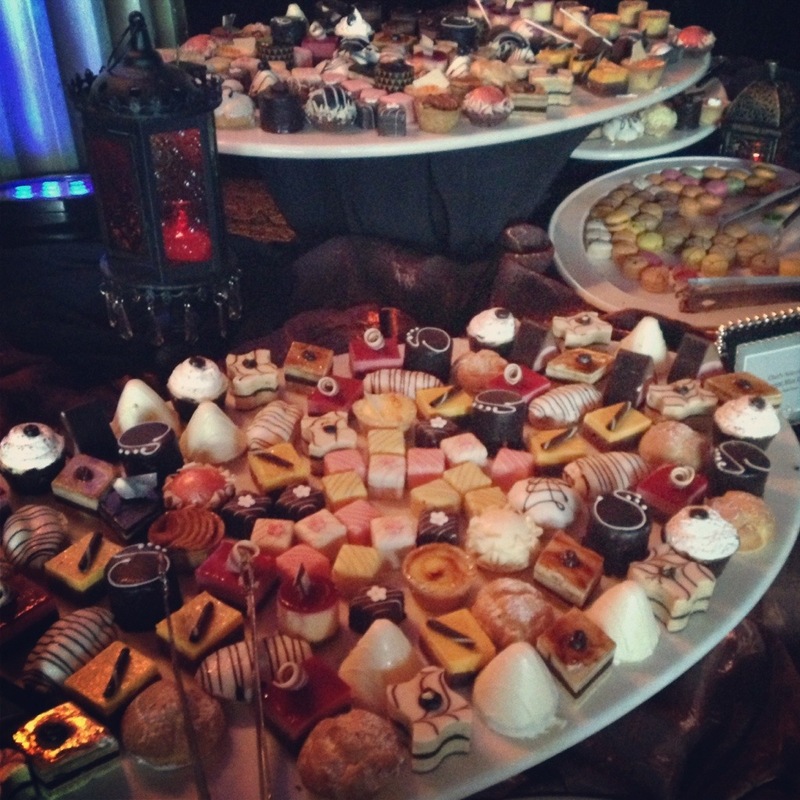 There was a buffet, complementary Grey Goose drinks, delicious appetizers and this dessert selection. Needless to say, I hung out in this room for the majority of the night. I loved the berry cheesecake bites. After the party, we headed up the strip to SHe by Morton’s, which is one of my clients. This stylish steakhouse is a partnership between Morton’s the Steakhouse and Eva Longoria. The runway winding through the dining room hosts weekly fashion shows that feature trendy designers. This week XTC Couture spiced up the catwalk for Fabrik Fridays. The clothes were so cute! I love the black and white striped dress in the photo above. The leather leggings and fringe top are fun, too!